Have you seen Gone Girl yet? 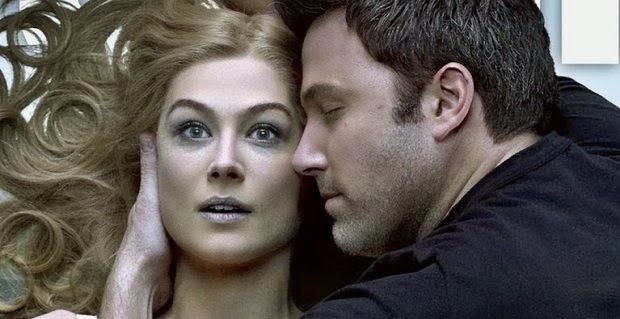 It's a movie starring Rosamund Pike and Ben Affleck, directed by David Fincher. It's based on the amazing book written by Gillian Flynn (she wrote the screenplay for the film too). I've mentioned it on the Muse a few times before--it's certainly one of the best books I've read in my entire life. And no, I'm not being over the top. It is truly brilliant. So I was uber excited to see the movie last week as I had great expectations. And I must say, it did not disappoint. Gone Girl is about the marriage of Amy Elliot and Nick Dunne. They are both former writers who lived in New York, but were forced to move to Missouri because of the loss of their jobs and the deteriorating health of Nick's mother. After being married for five years, it is clear that the relationship between the couple just isn't what it used to be. Amy seems to be depressed and Nick appears to be distant. On the morning of their 5th anniversary, Nick finds broken glass and furniture overturned. Amy is nowhere to be found. The police get involved and start to treat Amy's case as a disappearance. But as the plot unfolds and secrets are revealed, a missing Amy turns to a possibly murdered Amy--and Nick is the #1 suspect. But did this nonchalant husband kill his wife? What's really been going on between these two since they moved to Missouri? What's real and what's fake? And where the hell is amazing Amy? 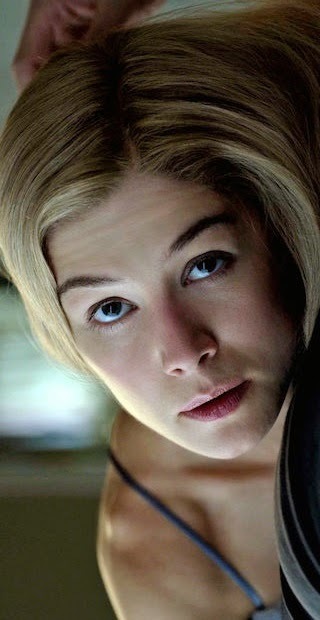 Have you seen Gone Girl--or read the book?